WASHINGTON—A. Shuanise Washington, president and CEO of the Congressional Black Caucus Foundation (CBCF), Inc., released the following statement on the significance of women from diverse backgrounds concurrently serving at the helm of the Asian Pacific American Institute for Congressional Studies (APAICS), the CBCF and the Congressional Hispanic Caucus Institute (CHCI). 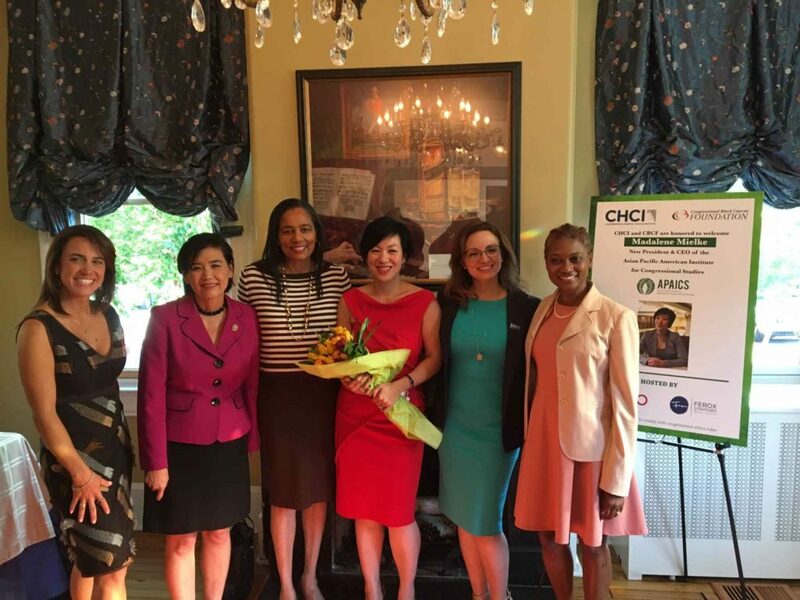 “It is a true honor to serve alongside CHCI President Domenika Lynch and APAICS’ new President Madalene Mielke. For the first time in our organizations’ history, three women of color are leading these organizations dedicated to expanding opportunities for our nation’s future — young people. An ideal America is a place where many cultures exist, coexist and build on shared values. Multiculturalism is what makes America great. Through the relationships between APAICS, CBCF and CHCI, we have created opportunities for more effective diplomacy, enriched the education of our young people and helped to build a greater acceptance of different cultures. I hope our country and this world takes notice and follows suit. At a time when women from diverse ethnicities are underrepresented and being viciously attacked morally, sexually, intellectually as well as economically in this country, our organizations are showing what makes America great again – multicultural unity. We will continue to provide students with the opportunity to gain insight by learning how distinct cultures can build a solid foundation for friendship, collaboration and cooperation. The CBCF, as well as the CHCI and APAICS, has an undying commitment to empowering young people to become strong leaders. Among this circle of women in leadership, our shared goals not only help us prepare our emerging leaders with the academic and technical skills needed to contribute to future collaborations, they also serve as a catalyst for us to empower them to become globally engaged.